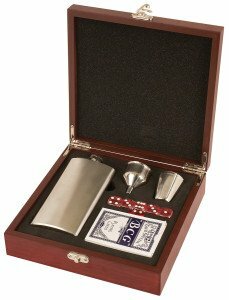 It’s always the right time to shop for the custom engraved gifts. Whether it’s an anniversary, birthday, or other special occasion a custom engraved message makes any gift a keepsake to last a lifetime. Capitol Medals has several items perfect for you in our easy to use online store. There is something for everyone, and you can pick from options specific to the season, or items that can be enjoyed all year long. See some great examples of custom engraved gift ideas below! Custom Engraved Yeti Mugs – Keep your favorite winter beverage warm in the chilly weather with a Yeti mug! Make it unique by adding someone’s names, initial, or a cute graphic so they can always tell their mug apart. 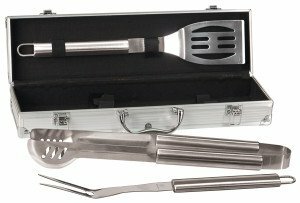 Custom BBQ sets – Get your favorite grillmaster their very own personalized grill set complete with a case and even a custom cutting board! Have their name added, or a special message on the handles to make it the perfect gift. Custom engraved Christmas ornaments – We have a wide selection of ornament options to choose from this holiday season. First choose your material, whether it is metal, ceramic, or a glittery ball. Next, pick a shape to add your favorite photo to. From basic shapes to Christmas trees and sports-themed ornaments, we have something for everyone. Custom canvas art – Turn an existing photo into a great work of art by putting it on canvas! Even more eye catching than just framing, this can be an extra special way to display a spectacular photo or piece of art. Flasks, mugs, and growlers – For those who enjoy the occasional alcoholic beverage, get them their own special drink ware! Flasks and mugs are a standard for any casual drinker, and growlers are increasing in popularity with the expansion of craft beer. You can’t go wrong with any of these choices. Frames – Make memories even more special by adding an engraved message to the picture frame. Add names, dates, or phrases to an assortment of picture frames we have available, made out of various types and colors of wood and metal. Get in touch with Capitol Medals for all your gift-giving needs! You can easily order online and add custom type or graphics via our website, or give us a call to talk about what you’re looking for. Our helpful staff works hard to make sure you get high-quality products within a reasonable time frame.